Hong Kong, also known as the “Pearl of the Orient”, is a melting pot of various world cultures thanks to its world-famous tourist attractions and living facilities. You can find both ultra-modern luxury and natural beauty in the skyscrapers and green mountain peaks. Boasting spectacular skylines, Hong Kong is yet unmatched in the world. Being one of the most densely populated areas, it is known for its vivacity, harbor, the best restaurants and shopping complexes. Speaking of luxury, your stay in Hong Kong, whether for leisure or business, should be in style. Here are five of the top Hong Kong hotel’s reviews inviting you to spoil yourself in their comfort and opulence. Located in the Kowloon area of Hong Kong, Hullett House symbolises Old Hong Kong tradition and elegance. Keeping with the “East meets West” concept, this heritage building is an example of colonial architecture. It displays luxury in its all-suite upper-floors that are individually designed. Declared a monument in 1994, the hotel has landscaped gardens, 24-hour reception and concierge service, seven restaurants and beverage outlets, Wi-Fi, easy access to local attractions, and high-class shopping stores. There are even meeting and event facilities with audio-visual equipment. As the name suggests, W Hong Kong speaks of urban glamour in its contemporary modernity. Hotel services range from limousine service and parking to 24-hour welcome desk and concierge service, 393 suites, newspaper delivery service, gym and spa service, rooftop pool, Wi-Fi and laundry service. Services also include Safe Deposit Boxes, SPG Keyless, Business service, PrintMe service, video conferencing service, cellular telephone rental and wired business center. The Whatever/Whenever services include special amenities such as PC and MAC workstations, courier service, internet access and more on extra charges. The Island Shangri-La speaks of magnificence in its jaw-dropping height in the midst of Hong Kong’s shopping, cultural and business hotspots. 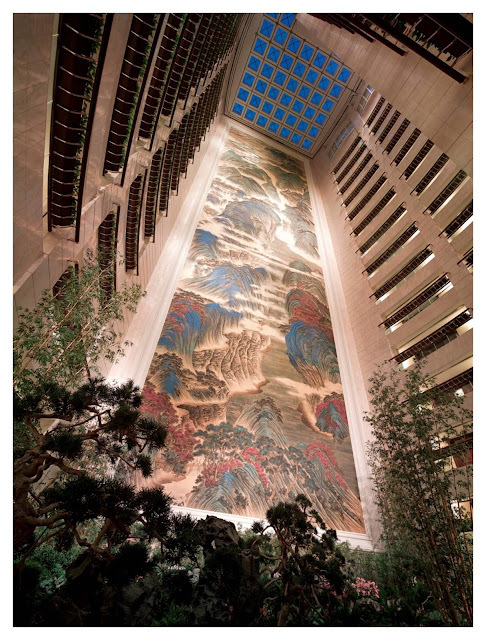 You are welcomed by the great “Motherland of China”, which is a 16-storey landscape painting, deemed the largest in the world. Adorned with Asian-inspired European furnishings, the hotel offers 565 rooms and suites overlooking the city, the Pearl or the Victoria harbor. Moreover, the hotel provides high-speed internet access, health club, and business center with event facilities, concierge and butler service, hospitality lounge, laundry service, courier service and childcare service. Recently honored with the ‘One Michelin Star’ in the Michelin Guide, the Eaton is a blend of quality hotel service, entertainment and fun. One can choose from a list of deluxe rooms, studios, executive rooms, family room and suites. You can dine in top-rate restaurants that offer different types of cuisines. Thus, you can enjoy both local specialties and international flavors. Moreover, the hotel provides for events and weddings facilities along with catering services. There is also a 24-hour fitness center, jogging route, tai chi learning course and swimming pool for fitness purposes. The hotel also offers Wi-Fi, childcare services, laundry services and accessible rooms. Designed by designer Andre Fu, the grand Upper House has 117 rooms, including 21 suites and 2 penthouses. They offer ample natural light and and offer an impressive view of the Victoria Harbor or the Peak. Do not forget to dine at the Café Gray Deluxe and the Café Gray Deluxe Bar. Picnics can be enjoyed in the Lawn, which is a green respite with its own selections of drinks and garden bites. There are yoga classes, a fitness center, house entertainment, Wi-Fi, private parking and event facilities. Looking for the most luxurious hotels online can be quite a task. However, now you can search for your ideal hotel. Just remember – there is a perfect hotel for everyone. Enjoy the perfect combination of luxury and home comfort in the best accommodations of Hong Kong. Have you stayed at any of these hotels? What do you think of them? Or do you have any other recommendations for a luxurious stay in Hong Kong? For other blog entries on Hong Kong, click here. Wow! These hotels are truly unique and spectacular! Oh wow, I am drooling at all of these although I think I would have to stay at the Peninsula if I returned. There are so many cool places to choose these days it is hard to choose! 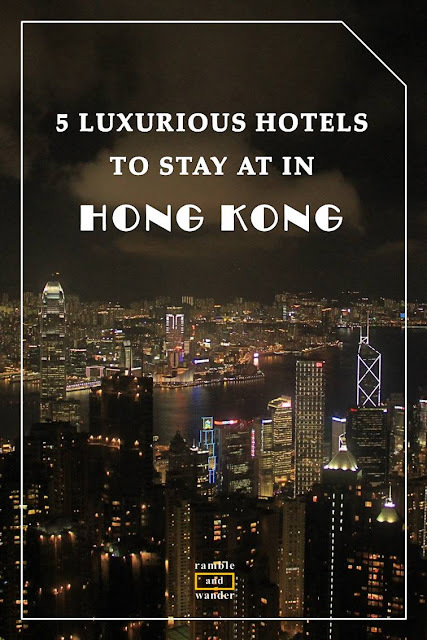 Hong Kong is on my travel list and I would happily stay at any of these gorgeous hotels. That painting in the Island Shangri-La is amazing! Shangri la and W are always a join to stay in. Haven't heard about the others yet but they sure do look luxurious! You can never go wrong with either a Shangri-La or W, can you? The W and the Shangri-La are some of my favorite hotel chains around the World. The other three I have never heard of, but they also look very luxurious. Hong Kong is a vibrant and colourful place. These hotels all seem to be the epitome of comfort and luxury blended with modern day technology and convenience. I am sure they are all great places to stay and explore Hong Kong. What a great list of luxury HK hotels to keep in mind on my next visit. They all look fantastic, will be hard to choose. These hotels are all stunning and soo luxurious! I'd love to stay in any one of them, but I think the W Hong Kong would be at the top of my list!